North Korea frees a Canadian pastor who was serving a life sentence of hard labour, one day after a Canadian delegation arrived to negotiate his release. North Korea has freed a Canadian pastor who was serving a life sentence of hard labour, one day after a Canadian delegation arrived to negotiate his release. KCNA, North Korea's official news agency, said on Wednesday that Hyeon Soo Lim had been "released on sick bail… from the humanitarian viewpoint." Lim, who is also known as Rim Hyon Su, served as pastor at one of the largest churches in Canada, Light Korean Presbyterian Church in Mississauga, Ont. He was sentenced to hard labour for life in December 2015 for what North Korea says was an attempt to overthrow the regime. A spokesperson for his family — his wife and son live in the Toronto area — confirmed the news of his release in a statement to the media. The 62-year-old, who was born in South Korea, is reportedly in poor health. He is said to need medication to treat high blood pressure. CBC News reported on Tuesday that Daniel Jean, the national security adviser to Prime Minister Justin Trudeau, had arrived in North Korea to negotiate his release. The last attempt at such talks was made in late 2016. Canada does not have an embassy in North Korea, and has advised against all travel there. The latest negotiations got underway amid heightened tensions between Pyongyang and Washington over the former's missile and nuclear weapons tests. The isolated state said it is considering an attack against the U.S. territory of Guam after U.S. President Donald Trump threatened it with "fire and fury like the world has never seen." Lim's church has said he visited North Korea more than 100 times since 1997 and helped set up an orphanage and nursing home. Family and friends have previously said he was visiting those projects at the time of his arrest in February, 2015. Word of Lim's release drew members of his congregation to their church, west of Toronto, Wednesday morning. Charles Baik, an associate pastor with the church's English ministry, told The Canadian Press that members of the church are ecstatic at the prospect of Lim's return. "We're so happy he's been released," Baik said from outside the church. Baik said Lim's ordeal would not deter the church from future humanitarian projects in the country. "Missions will never stop, no matter where they may be," he said. 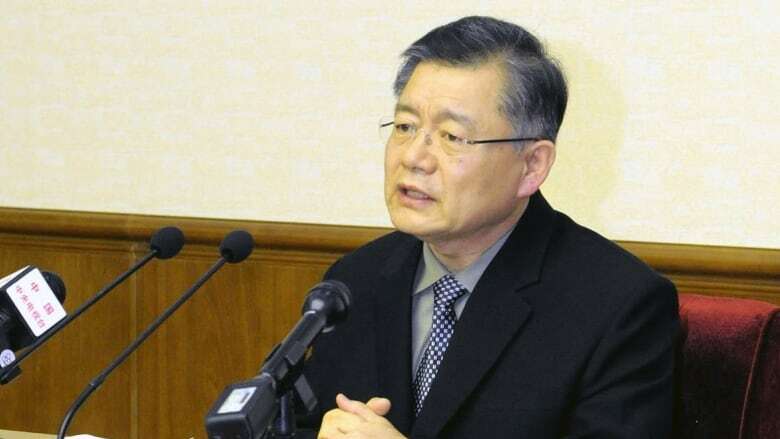 Lim was arrested on charges that included trying to use religion to destroy the North Korean system, disseminating negative propaganda about the North and helping U.S. and South Korean authorities to abduct North Korean citizens. One month into his sentence, Lim told CNN he spent eight hours a day, six days a week, digging holes for apple trees in the labour camp's orchard. He said he had not seen any other prisoners. 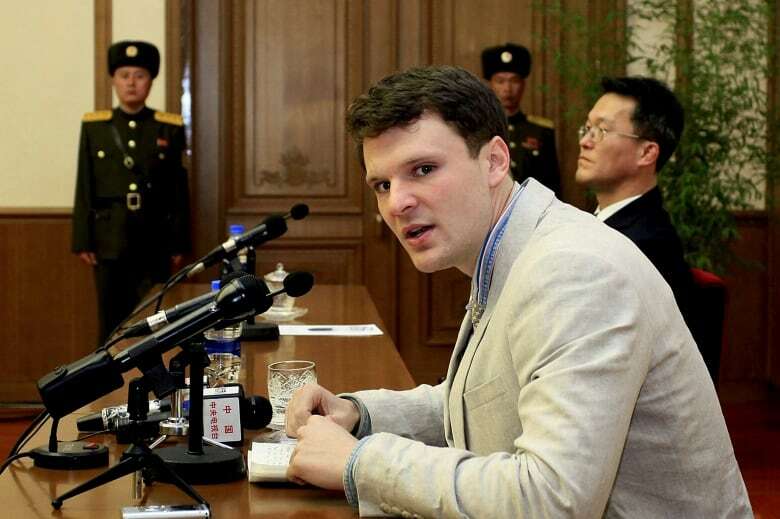 North Korea released another foreign prisoner, U.S. tourist Otto Warmbier, in June. Warmbier had been sentenced in March 2016 to 15 years' hard labour for subversion but arrived home in a coma and died just days later. Pyongyang blamed the 22-year-old's condition on botulism. Heather Nauert, a U.S. State Department spokesperson, was asked about Lim's release at a news briefing in Washington, D.C. on Wednesday as it pertains to the three Americans known to be currently detained in North Korea. Nauert said there was no update on their status, and that the U.S. will continue to work for their release, with the assistance of the Swedish Embassy in Pyongyang. Kim Dong Chul, a businessman. Tony Kim, a university professor. Kim Hak-song, a university employee.